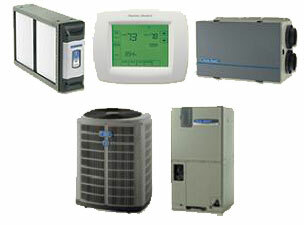 Your Heating & Cooling Sales/Installation Specialists! Keep your family cool and comfortable year round with professional HVAC services from Keeping it Comfortable, LLC. Our licensed and insured HVAC contractor has established a reputation for providing world-class customer care and workmanship at highly competitive prices. Additionally, we specialize in improving indoor air quality and all brand name energy-efficient equipment. Contact us today for further information. Air Conditioners - Our Air Conditioners offer a wide range of comfort choices, plus exclusive state-of-the-art technology that quietly, meticulously and efficiently conditions your air. Air Handlers - It works with an air conditioner to circulate cool air in the summer. Or, when paired with a heat pump, it circulates cool air in the summer and warm air in the winter. Air Cleaners - You don't have to have a family member who suffers from asthma or allergies to appreciate the health benefits of home Air Cleaners. In some ways they're the most important elements of home comfort. Thermostats - Did you know that you can save about three percent of your heating costs for every degree you lower your thermostat during the winter? Or that you can cut cooling costs up to six percent for every degree you raise your thermostat in the summer? Air Exchanger - An air exchanger removes your home's stale indoor air and replaces it with an equal amount of fresh outdoor air. 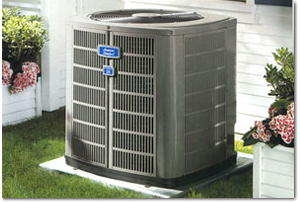 Heat Pumps - A heat pump does the job of an air conditioner and a furnace. But unlike a furnace, it doesn't burn fuel to create heat. It uses electricity to keep your home warm in the winter, cool in the summer, and comfortable all year round. Furnaces(Gas & Oil) - It doesn't matter whether you use oil or gas heat Keeping It Comfortable, LLC has a range of furnaces that will bring efficient warmth to your home. Humidifiers - During the wintertime and in hot, dry climates, dry air inside your home can make you uncomfortable and cause damage to your belongings. Boilers (Gas & Oil) - When you choose Keeping It Comfortable, LLC to install your boiler as part of your home heating system, you can trust that it has been installed with comfort, efficiency and quality in mind.